I know, right? 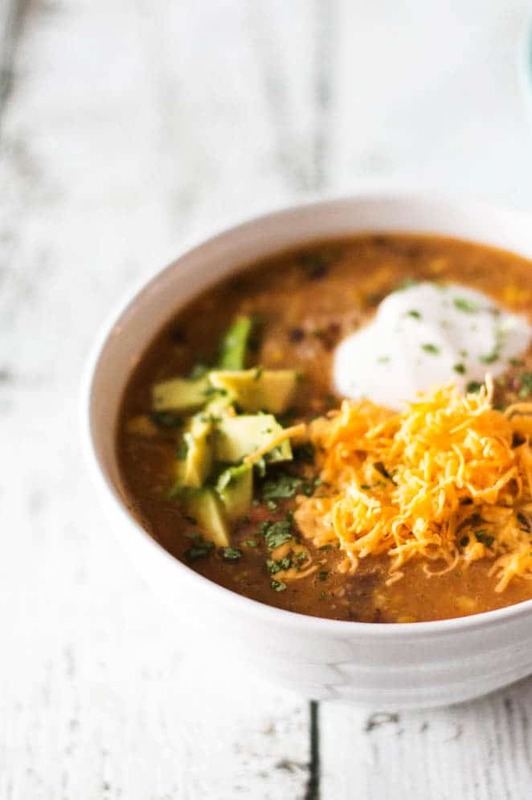 Who ever would have thought you could make fresh tortilla blender soup in under ten minutes without even turning your stove top on? I wouldn’t mislead you and will vouch that this is my go-to soup this winter. 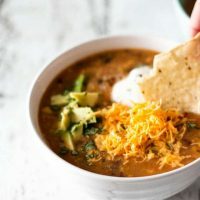 I like it because it is quick, is easily adapted based on ingredients at hand and it can be topped with so many different and wonderful things like cheese, sour cream, fresh cilantro, tortilla chips, etc. It can also be made purely vegan by using vegetable broth and substituting the cheese and sour cream for vegan options. Add your fresh roma tomato, carrots, celery, broth, garlic and my secret ingredient: chipotle puree with your spices of choice and set the blender on the soup/hot setting. While it is cooking get the peppers, black beans and corn ready to go. You can also add chicken or turkey but you won’t miss the meat as this is a very filling soup as is. The work effort is so minimal yet everyone who tries this will think that you slaved over the stove. For variations, trying mixing up your spices or adding onions, spinach to the mix. I can’t add those when I’m sharing a batch with my husband but when it is just for me I like adding a bit of fresh spinach in the last step. Mike likes it plain without all the toppings but I really like it piled with avocado, cheese, sour cream and sprinkled with fresh lime juice. Delicious. I’m getting hungry for some more blender tortilla soup just thinking about it. Would it be wrong to have it for both lunch and dinner on the same day? From ingredients to fresh tortilla blender soup in under 10 minutes. Place first 7 ingredients in blender and let it run the hot/soup cycle. After approximately 6 minutes, steam should be leaving the vented top. Add 1/2 the cut peppers to the blender and blend on medium for 30 seconds. Add remaining peppers, black beans and corn and pulse 5-10 times until you have reached your desired consistency. This will leave you with a soup that has some thickness and texture. Pour into two bowls and sprinkle each with juice from 1/4 lime. Add your favourite toppings and enjoy. You can also add tortilla chips to the blender in the last step and pulse. I prefer to dip them in the soup or crumble on top as I'm not a big fan of soggy chips. For a vegan option, use vegetable broth and substitute cheese and sour cream for vegan toppings. This is one of my favorite soups and now I know I can make it in the blender!! You’ve made my night. Thanks Kathy! I hope you enjoy it as much as I do. I love this soup! All Mexican soups are so full of flavor! I will definitely give it a try! I totally agree with you Tania. 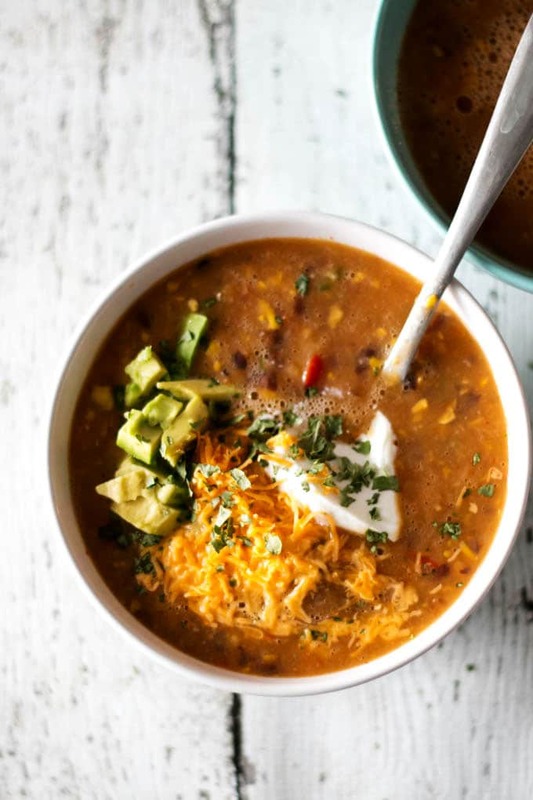 I love full flavored soups and this one doesn’t disappoint. I love Tortilla Soup! I haven’t made it in so long – this just inspired me! Awesome! I’m glad I’m not the only one who loves Tortilla Soup. This looks amazing and so easy to make. Great especially as a last minute e”uh, i don’t know what too make for dinner” moment! Love it and all the flavours combined! Couldn’t agree more. You really don’t need to plan in advance at all since the ingredients are all pretty common. 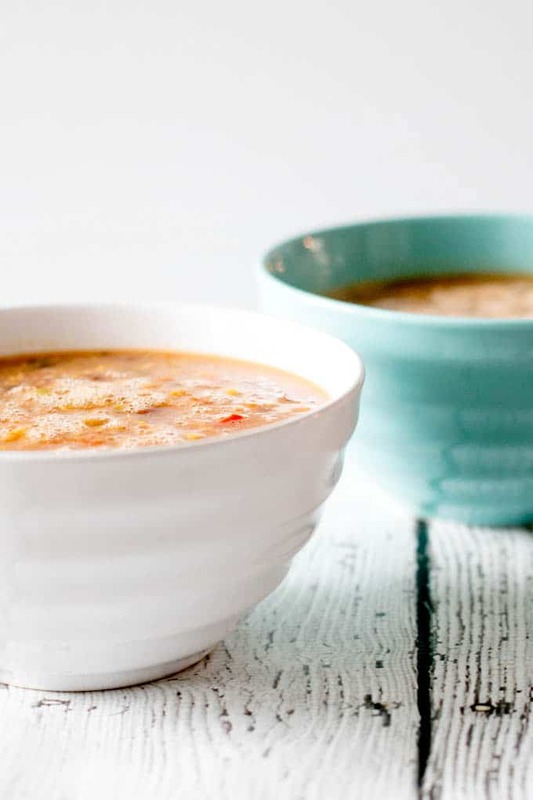 I love homemade soups so this one is my list! Thanks for a great recipe! Oh man. I’m going to need to buy a vitamix, aren’t I!!! I’m probably a bit biased but I highly recommend a Vitamix but have also heard great things about Blendtec. I used to work at a kitchen store where we would demo Vitamix all the time. I loved watching people’s reactions when they would watch us make hot soup right in the blender! This sounds absolutely delicious! I promise it really is as easy at it says…which is why I make this all the time! This soup sounds delicious! I can’t wait to try it! Hi Anne, that is a great question. I have always made it to serve immediately so I can’t confirm. My gut says this recipe may not freeze very well.